We all have blood. We all feel. We all matter. We are all different. Our Digital Selves: My Avatar is Me is a new video documentary by Draxtor Despres, which officially unveiled on Thursday, May 17th, to coincide with Global Accessibility Awareness Day. The documentary grew out of a desire to follow the work of Tom Boellstorff and Donna Z Davis (respectively Tom Bukowski and Tredi Felisimo in Second Life). 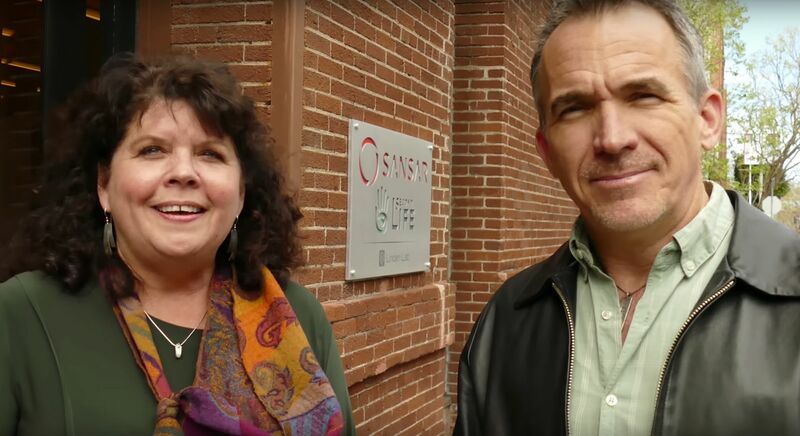 For the last three years, Tom and Donna have been engaged in a National Science Foundation funded study formally entitled Virtual Worlds, Disability, and New Cultures of the Embodied Self, and more informally referred to as Our Digital Selves. I first covered this study in Exploring disability, new cultures and self in a virtual realm, back in 2016, when I outlined Donna and Tom’s examination of the experiences of people with disabilities – visible and invisible – who are using Second Life to represent themselves, possibly free of the shadow of any disability, engage with others and do things they may not be able to do in the physical world. How is the internet changing the ways people think of themselves as individuals and interact as members of communities? Many are currently investigating this important question: for this project, the researchers are focusing on the experiences of people with disabilities in “virtual worlds,” three-dimensional, immersive on-line spaces where people with disabilities can appear any way they choose and do things they may not be able to do in the physical world. Using in-world meetings and discussion groups, Donna – a strategic communications professor at the University of Oregon specialising in mass media & society, public relations, strategic communication, virtual environments and digital ethnography, and Tom – a professor of anthropology at the University of California, Irvine – set about engaging with Second Life users. Through these sessions they explored the many facets in living with a disability, people’s reactions to those with disabilities, and the experiences those with a wide range of physical and other disabilities – the ability diverse, as Donna notes – find within virtual spaces. 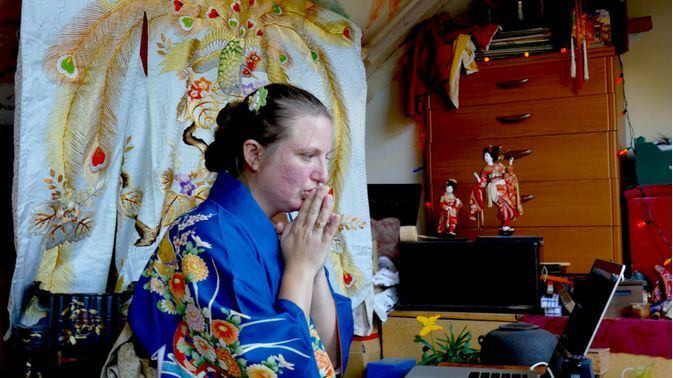 Covering enormous ground over the three years – including providing participants with virtual space in-world at Ethnographia Island where they might express themselves and their relationship with their condition – Virtual Worlds, Disability and New Cultures of the Embodied Self is perhaps best described as a voyage of discovery and revelation for all those involved – researchers, participants and observers alike. And it is this voyage that the documentary Our Digital Selves: My Avatar is Me encapsulates. The documentary focuses on thirteen participants in the study who, along with their avatars transcend their various disabilities through artistic expression and making a home for themselves in the digital realm. Starting with the idea of freedom through embodiment that environments like Second Life offers as a result of the almost entirely free-form way in which we can express ourselves through our avatars visually free from the disabilities or imperfections that might otherwise define us, the film moves onto the concept of being rooted to a place, and the idea that having that space allows us to further define and extend who we are. This idea of “emplacement”, as Tom calls it leads to an initial exploration of the places the study participants built on Ethnographia Island. It is here that the personal stories begin to unfold, with Jadyn Firehawk describing what those of us blessed with sound minds and bodies might take for granted in ourselves those around us: performing every day tasks when living with an invisible disability. It’s easy enough to show understanding and compassion – and make allowances for – those with physical disabilities. Yet how often do we (if only silently) question or shy away from those with mental / emotional disabilities when they raise the subject of their health, simply because we don’t see physical evidence of their disability? These stories are fascinating, moving, and deeply revealing studies; not only in terms of those relating them, but also in what they say about the sheer power of a platform like Second Life to imbue creativity, to form relationships, to encourage our desire to push past barriers – physical, mental, personal and societal – and even to re-grant the authority for us to control our identity and how much of it we choose to reveal to others. In this, the video not only covers matters of personal representation of self when living with a disability, but covers wider issues of identity, revealing who we are, have the right of control over what is revealed to others about ourselves. In the age of Facebook, Google, data gathering, Cambridge Analytica style activities, this is an issue that reaches far beyond what might be seen as the “core” subject matter of the study – be which nevertheless is part and parcel of the idea of embodiment; one which does affect us all. The stories revealed through the film are moving, insightful – and revelatory; not “just” because of what they reveal about the participants, but in the way it can cause measures of self-reflection and encourages thoughts on our own virtual embodiment: what it means to us, how it exercises our desire for growth, etc. Nor is Second Life the only environment explored within the video. As we are all aware, with the new era of consumer-facing VR slowly maturing around us, new virtual environments are emerging – such as High Fidelity and Sansar. If people are having an embodied experience with a headset, where they’re actually experiencing something that helps them to think about their relationship to the world, and their relationship to others, fair enough. But if it’s just more fairground rides, it’s a bit of a low aim if we consider ourselves to be an intelligence species. Hence the visits to High Fidelity and Linden Lab towards the end of the video make for interesting – if in places quite subtle – observation. 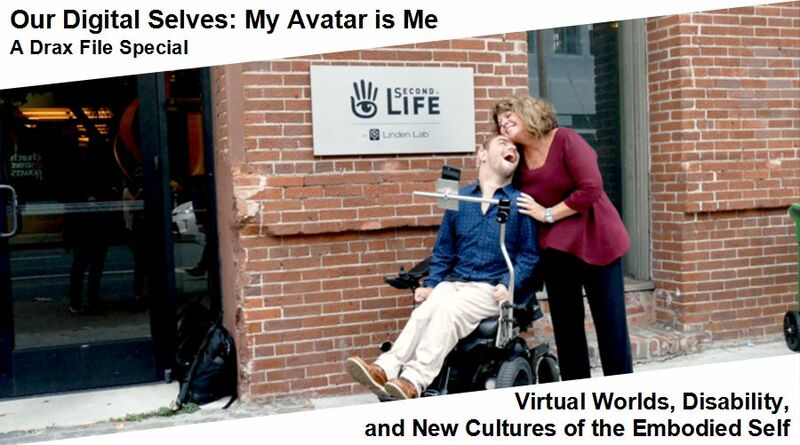 While officially launched on May 17th, 2018, Our Digital Selves: My Avatar and Me had an initial public outing – in part – when an excerpt was shown at a Congressional Briefing on Disability, Mental Health, and Virtual Worlds. Organised by Congressman Alan Lowenthal (Dem), to discuss the findings from Donna and Tom studies (both of whom were on the briefing’s panel), and the broader creative uses of on-line social interaction. 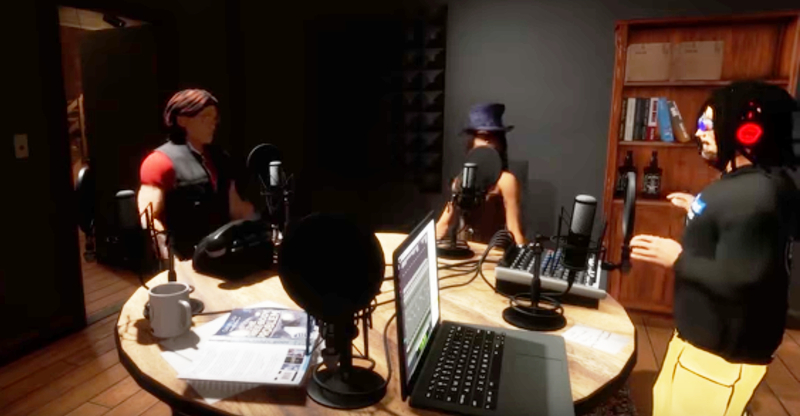 Tom Donna (c) and Drax discuss disabilities, the study and the relevance of virtual environments for both those with disabilities and the able-bodied. And it is these broader aspects where Our Digital Selves: My Avatar is Me has relevance as well – particularly for hose who might regard engagement in virtual spaces as something “necessary” for disabled people, but perhaps not relevant to them as able-bodied individuals. I’ll let Tom Boellstorff explain why. If you listen to the stories that you see in this film, you will see people doing something new, that they never imagined they could have done before they encountered these virtual worlds. And we see over and over again that when able-bodies folks come into these worlds, it’s the same story. Both Virtual Worlds, Disability and New Cultures of the Embodied Self and the documentary Our Digital Selves: My Avatar is Me are incredibly important bodies of work in defining the power and versatility of virtual worlds to enrich our lives. The video in particular presents a wonderful encapsulation of the study and those involved in it, and I have no hesitation in recommending it for viewing. Thanks so much for this great piece, and to John for reblogging! It was great fun to do—Drax is an amazing filmmaker. Thank you, Inara! Thanks also to Drax for his unwavering support and effort in this project! And of course, thanks to all the extraordinary humans who share their avatar lives with us! Time to rethink ability! !